Add nostalgia and charm to your small garden or patio! This compact peony stands just 20" tall and is very suitable for containers. But don't let its small size fool you! 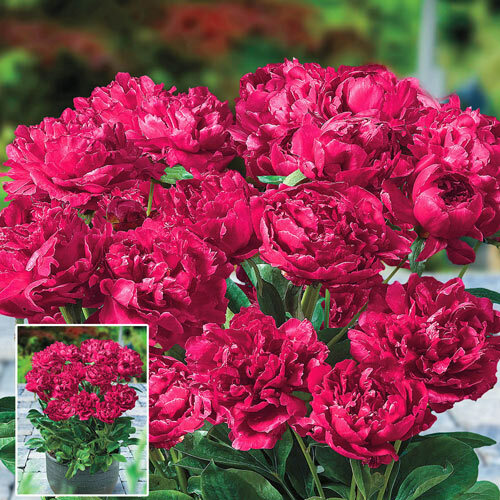 It produces plenty of red, 6" double flowers that will add colour and fragrance to your garden in late spring and early summer. Also great as cut flowers. Paeonia. Foliage Type Glossy, green leaves. Very ornamental through-out the growing season. The new growth in spring is a copper-burgundy and turns a soft yellow in the fall.